Spud the film adaptation of the bestselling novel by John van de Ruit concerns the trials and tribulations of a schoolboy on the threshold of puberty going to a private boys school in the Natal Midlands abounds with literary references from Joseph Heller’s Catch 22 to Beckett’s Waiting for Godot. 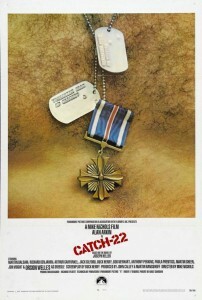 The allusions to the Theatre of the Absurd is not lost on John Milton, the 13 year old boy, nicknamed Spud who escapes his wacky household in Durban North and thrust into the crazy, cruel and bullying world of schoolboys all attempting to be part of a dorm gang who resemble more Lord of the Flies than Dead Poets Society. From the wild antics of his fellow classmates Spud finds refuge in his literary conversations with his English Teacher, Guv, a spot on performance by John Cleese, who is both witty and fragile as a man trapped in an environment he clearly would like to rise above, but cannot gather the courage to do so. The ever sickly and accident prone Gekko becomes Spud’s best friend offering advice on girls, moral support and non-conformity, whilst giving Spud perspective on the situation he is in from their journeys up to Hells View. Spud is a superb South African film, which has the right balance of pathos and panic, humour and character with great cinematography, first class casting and a real sense of capturing the period of Transitional South Africa in the early 1990’s. Directed by Donovan Marsh and produced by Ross Garland who also brought the insightful 2007 film based on the memoirs of Radya Jacobs Confessions of a Gambler to the big screen, Spud is drawing in the crowds at all local cinemas gaining the honour of the highest grossing film in SA in the opening week. Both Spud and Confessions of a Gambler deal with characters who go on emotional journeys in hostile environments which are unsympathetic to their own personal growth, showing their own humanity and tenacity, which inevitably shines through. 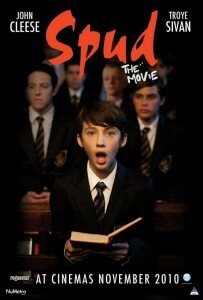 With John Cleese and Troye Sivan giving excellent performances of teacher and pupil who both go on an often hilarious but very different change of life journeys, Spud is sure to break into the International film scene with the same dexterity that the title character manages to navigate his way through the first year of boarding school in an environment which is as ludicrous as Catch 22 and as treacherous as Dicken’s Oliver Twist.